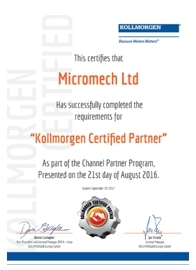 At Micromech we are proud to announce that our engineers have successfully completed the necessary training and assessments required to become the UK’s first ‘Kollmorgen Certified Partner’ensuring we have best possible in house resources to support and integrate Kollmorgen servo drives and motors. After adopting the excellent ranges of Kollmorgen Servo drives and motors as our main offering nearly four years ago, we at Micromech have successfully won customers and grown sales year on year. 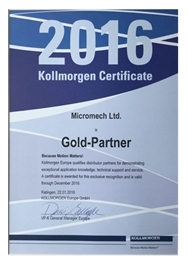 As a result of this we were awarded Kollmorgen Gold Partner status in January this year. Micromech has enjoyed a long successful association with Kollmorgen’s parent company, Fortive providing motion control solutions comprising products from companies such as Thomson Linear, SloSyn, Portescap, Superior Electric and Kollmorgen (formally Danaher companies). 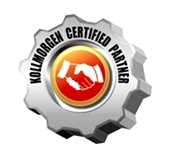 Please contact Micromech on 01376 333333 or Email sales@micromech.co.uk for assistance and support with Kollmorgen products.